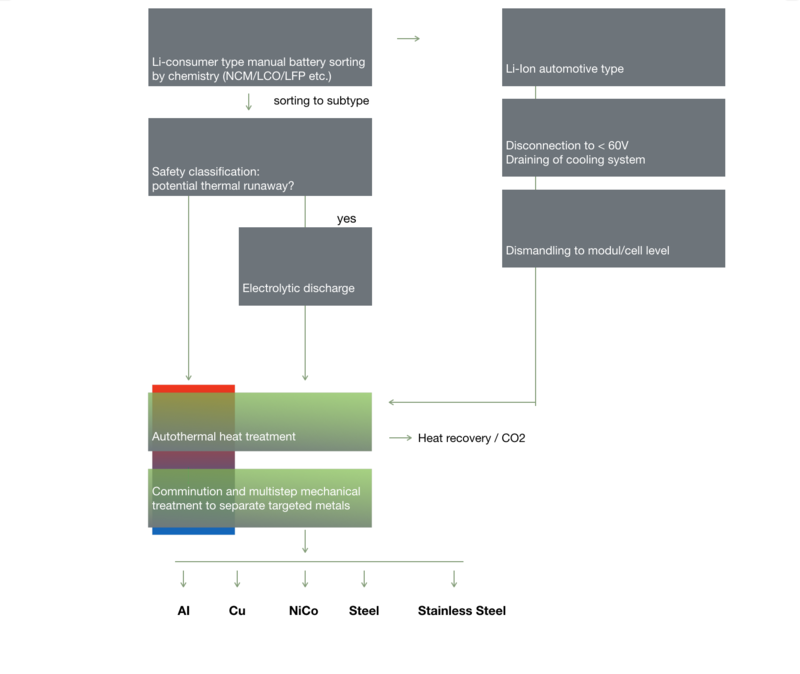 High energy density, reactive alkali metals and highly flammable electrolytes make Li-batteries the most critical battery type to transport, handle and recycle. In addition to this, only selective technologies process meet the requirements of recycling efficiency and optimized material evaluation. Accurec’s EcoBatRec process has been finalized 2016 at its new headquarter facility and provides highest safety standards for customers. Li-Ion-Recycling: Audit summary audit report at download section. Complete Audit Report on Li-Ion EcoBatRec Process on request.